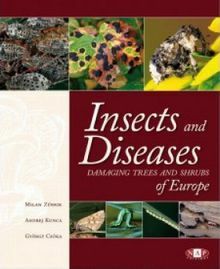 A comprehensive atlas to the world of insects and diseases damaging trees and shrubs in Europe. Illustrated by over 4300 unique colour photographs, showing more than 1100 species of insects and diseases causing damage to tree species and shrubs in Europe. Several prominent forest protection experts joined together to create this book: a comprehensive atlas to the world of insects and diseases damaging trees and shrubs in Europe. Easy to use, pests are arranged according to the tree species on which they occur. They appear under their scientific name and common English name. The pest's life cycle, description of the life stages, significance and distribution are briefly mentioned. This book compiles a remarkable amount of essential information for specialists, professional practitioners or students in Forestry and Parks and Gardens Management. More generally, the work will also be instructive and useful for anyone keen on the natural environment, trees and gardening who would like to know the causes of damage to trees and shrubs.